Replacement brake/clutch levers in solid aluminum, for a sportier look and better "grip". Two lengths and two finishes available. High-quality progressive fork springs, German design and manufacture by Wilbers. Kit for the renovation of the clutch (discs + springs) on Triumph motorcycles. Made in Britain by EBC. 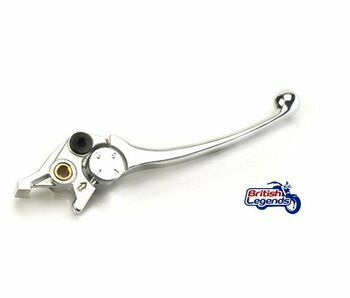 Replacement clutch and brake levers for Triumph Speed Triple 955/1050, identical to the original levers on your bike. Pair of replacement fork legs/tubes/stanchions, high quality made in Italy. 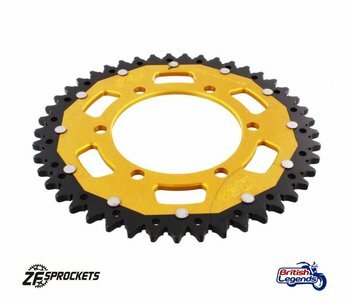 Gold-finish dual-metal rear sprocket for Triumph motorcycles. Teeth in hardened steel, centre in light alloy. 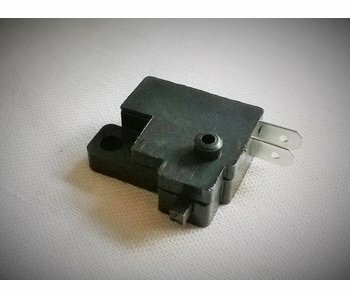 Brake light switch front replacement for most Triumph models, as well as Kawa W650/800. Brake bisc bolts in high-quality stainless steel, to replace the standard (rusting) original bolts on your bike ! See details and application below. Sintered brake pads for a super-performance braking, high endurance and a good braking "feel". Floating front brake discs made of stainless steel of high quality (high carbon content) for Triumph Speed ​​Triple 955 and 1050. Priced for a pair. 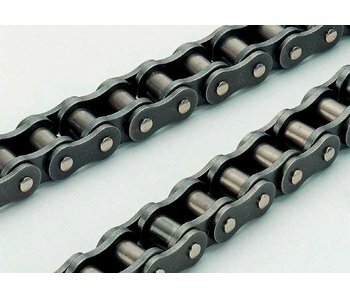 Top-quality chain and sprocket kit, Japanese quality for guaranteed longevity and durability. Ideal for do it yourself brake bleeding your bike without pain! Quality sintered brake pads front/rear for Triumph Speed Triple 955 and 1050. 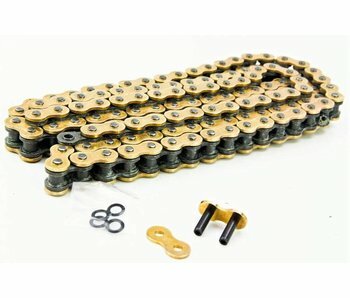 Top-quality DID chain with gold finish, Japanese quality for guaranteed longevity and durability. 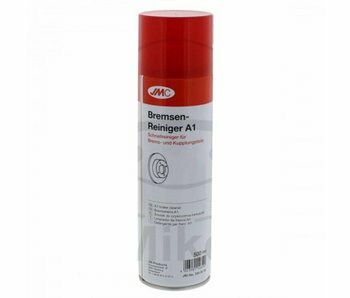 Quality Brake Cleaner Spray 0.5 liter. German brand JMC. 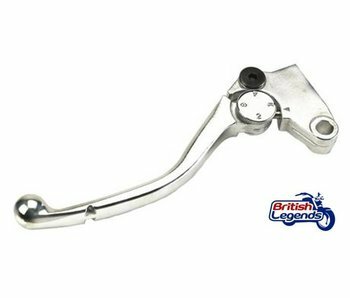 Replacement levers for Triumph Daytona 955 (1998-2006), identical to your bike's original levers. Floating front brake discs made of stainless steel of high quality (high carbon content) for Triumph Daytona 955. Priced for a pair. Rear brake discs of high quality stainless steel (high carbon content) for Triumph Speed ​​Triple 955 and 1050. See application and details below. 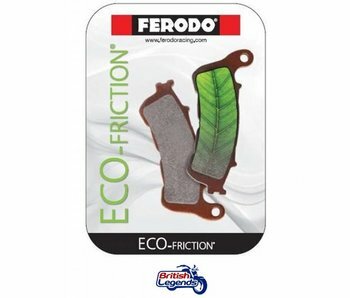 Ferodo Eco-Friction brake pads front/rear for Triumph Daytona 955 (1997-2006). Rear brake disc of high quality stainless steel (high carbon content) for Triumph Daytona 955.